Treating the arts and healthcare as purely commercial properties is certain to lead to disaster. And it is surprising just how quickly that disaster can happen. Last week I described the privately owned Clinique Médipôle Saint-Roch à Cabestany - Perpignan in France, where I recently underwent surgery, as "a disturbing mix of Gallic arrogance and ineptitude overlaid with American-style corporate crapola". 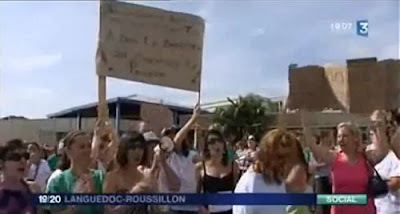 Now comes the news that my poor opinion of the clinic's management is shared by more than 300 of its staff who have gone on strike in a dispute over pay and contracts, see image above from French TV news. This industrial action means the clinic is effectively closed and most of the patients have been transferred to other hospitals in the region. All of which can be dismissed as a storm in a coffee cup in far away French Catalonia. Except that the hospital is owned by international private equity group Bridgepoint (formerly Nat West Equity Partners) which also owns a leading independent provider of health care services to the UK National Health Service and has a portfolio of other investments in Europe including the Pret a Manger sandwich chain and Leeds Bradford International Airport. 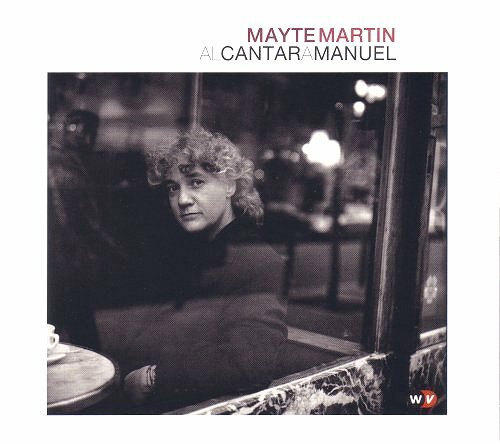 Appropriately hot music comes from the Spanish Catalan singer and composer Mayte Martin. Her album Al cantar a Manuel, see below, was on my iPod while I was in Catalonia following a recommendation by an Australian reader. Now find out what happens when market forces and music collide. "...what concerns us primarily is our patients..."
Among M. Hermann's other concerns is a a renowned vineyard in the Coteaux du Languedoc that he owns, see second link below.